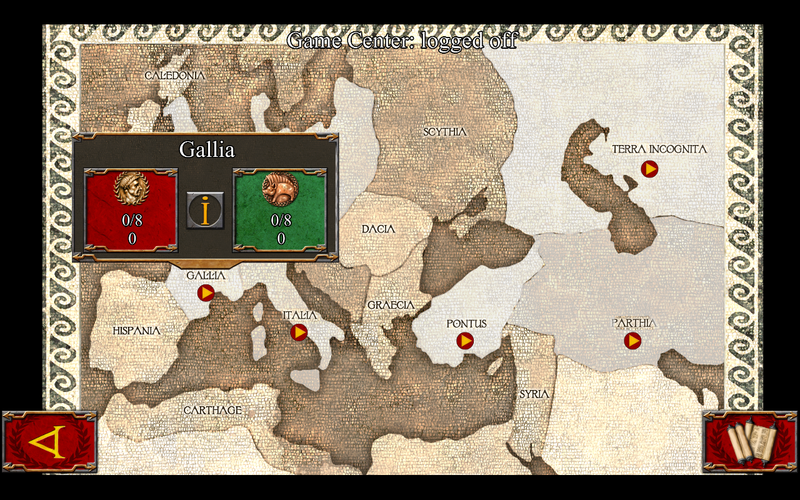 Designed from the ground up Ancient Battle: Rome gives a unique wargaming experience on iPhone and iPad. 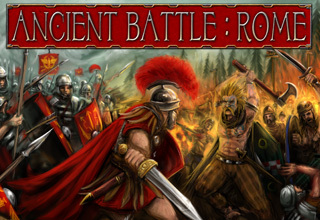 Use Roman legionaries, elephants, catapults, heavy and light cavalry, archers, slingers, fanatics and many other unit types to engage in classic battles. 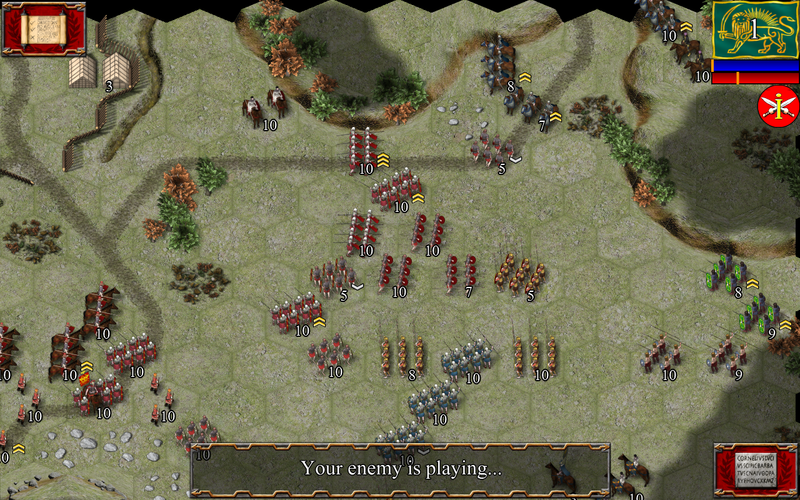 Reached No.1 strategy game on the App Store in 8 countries and reviews included: “Hunted Cow’s best wargame yet” – Pocket Tactics “delivers everything one can expect from a strategy title” – Arcade Sushi “smart, challenging, and surprisingly substantial strategy game” – Pocket Gamer Included in this version ‘Caesars campaign in Gaul’ culminating in the classic siege of Alesia, and the campaign between Julius Caesar and Pompey the Great, including the battle of Pharsalus. 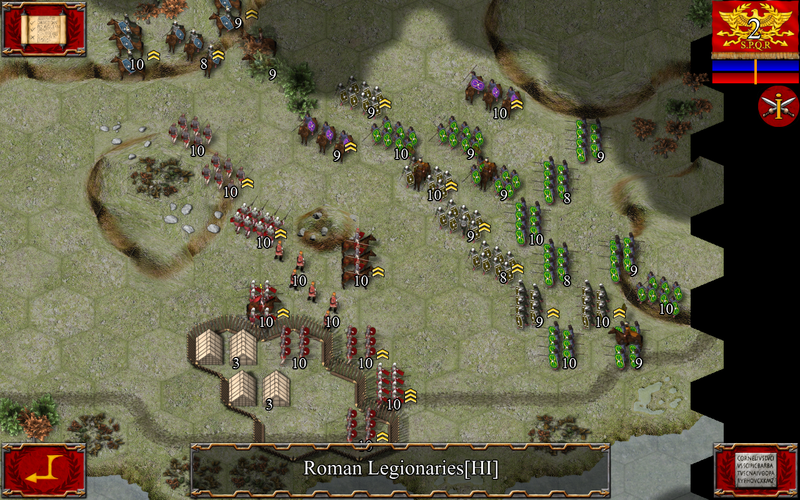 You can also purchase additional campaigns, ‘Britannia’ with the highlight of Queen Boudicca’s demise at the battle of Verulamum, ‘Germania’ with the Roman massacre at Teutoburger Wald, and the ‘Pontic’ campaign against Mithridates the Great. 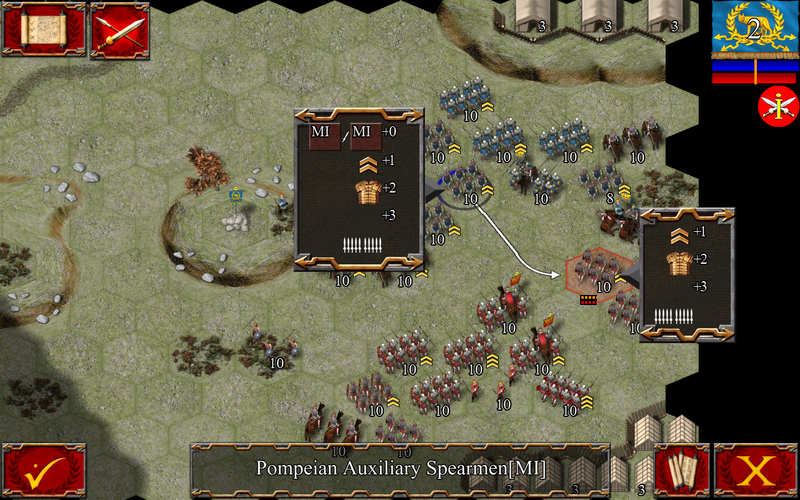 The ‘Pontic’ campaign adds scythed chariots and the Greek Pike Phalanx to the game system. Note: The Mac Edition of the game already includes all the additional purchasable content.